From his miraculous birth to his glorious ascension to Heaven, the life of Christ was a story of perfect faith and humility. Now, this Thomas Kinkade Life of Christ Sculpture brings new expression to that wondrous story. 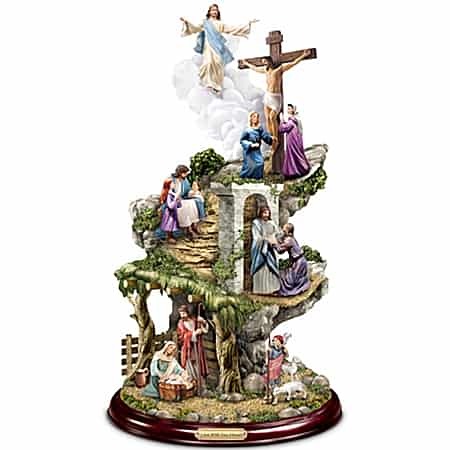 This limited-edition Masterpiece Sculpture leads your eye upward, beautifully illustrating five events from the life of Christ: The Nativity, healing the sick, blessing the children, the Crucifixion, and the Resurrection.